Home / Blog / Who inspires YOU to be active? Tribute to my best Coach..Karl Koonce. Many of my personal training clients at Energy Fitness here in Memphis ask how I got into the fitness field. 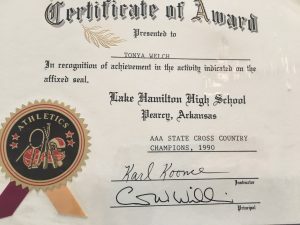 Well…I can most certainly say that had it not been for my High School Cross Country & Track Coach Karl Koonce I may not be where I am today coaching clients to better health and performing as better athletes. Can YOU name one or two people in your life that really inspire you or have inspired you to be your best in the field of sports or nutrition? 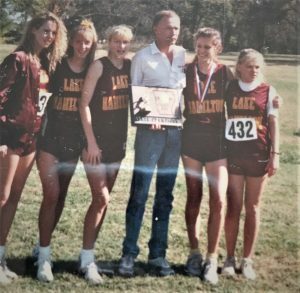 In the 40 years at Lake Hamilton he coached his teams to 29 state championships and 45 state runner-up titles at Lake Hamilton. I love that after a home track meet April 12th 2019 that he ran the final lap with all the athletes (me included) he’s coached lined up and running behind him. To our surprise at age 67 he kicked it in for a full sprint the last 100 meters to a cheering crowd! 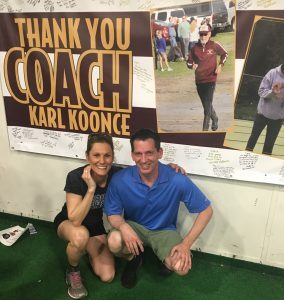 There are those unique individuals you meet in life that know how to bring out the best in you and Coach Koonce truly did just that. He is an award winning athlete himself and knows the dedication needed to do well. 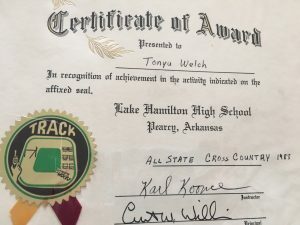 I graduated from Lake Hamilton High School in 1991 (located on the outskirts of Hot Springs, Arkansas) and then went on to be a top placing collegiate athlete as well with great habits learned from Coach Koonce. 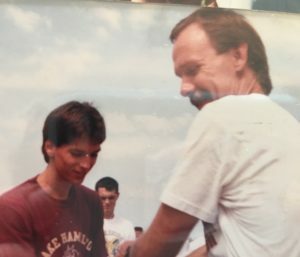 I get a little teary eyed thinking of how awesome Coach Koonce was for me and continued to be for student athletes almost 3 decades past my graduation. 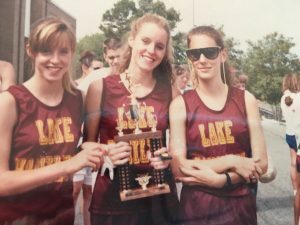 I totaled 6 coaches in 8 years of Cross Country & Track. 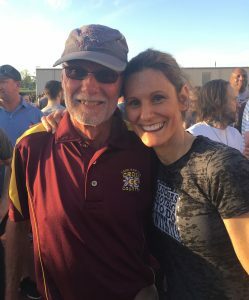 Most of the other coaches were just given track as a secondary job and they didn’t stack up at it where as Coach Karl Koonce lived and breathed track and cross country for 46 years and was the best! Sadly he is retiring this year which is the reason for this sentimental post. I was honored about two years ago when he asked me to speak to his current athletes & tell my story and how he fit into it. It was so cool getting the chance to show my kids my pictures still on the wall in the new field house with my winning teams & for them to meet someone that really helped shape my life. After spending time with Coach they wanted to move so they could run for him also. Sorry kids, no deal! 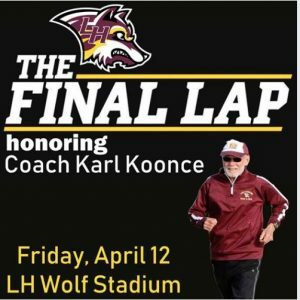 Coach Koonce was was a mentor and everyone that knows him even to this day can attest to how much he genuinely cares about his athletes both on the field and in the classroom. I had him as teacher for Human Anatomy & he was tough in the classroom also! 6 one-mile intervals that went around a square loop in a neighborhood close to the school and with 2 hills – THAT’S 6 MILES OF SPRINTS plus the warm-up and cool down !!! Here’s a few memories to share. Glad to be part of his history of winning. Thanks Coach for being YOU! Check out the video below for some dynamic warms-up I learned from Coach Koonce and filmed 25 years later at my home stadium. 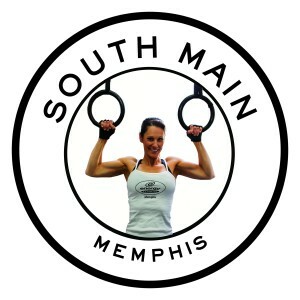 Live in the Memphis area and need to be inspired to get into your best shape or eat healthier and don’t know where to start?